When I woke up this morning Ohiophotogrl told me it was the first of December. Where has this year went. I had to go find my winter coat because it got cold in Ohio last night. Is a bit snug but I think it will work. Ohiophotogrl says it looks like it could be Santas coat. Maybe Santa will let me help him this year deliver toys to all the good girls and boys! This entry was tagged blogging, coat, kid friendly, Mr. 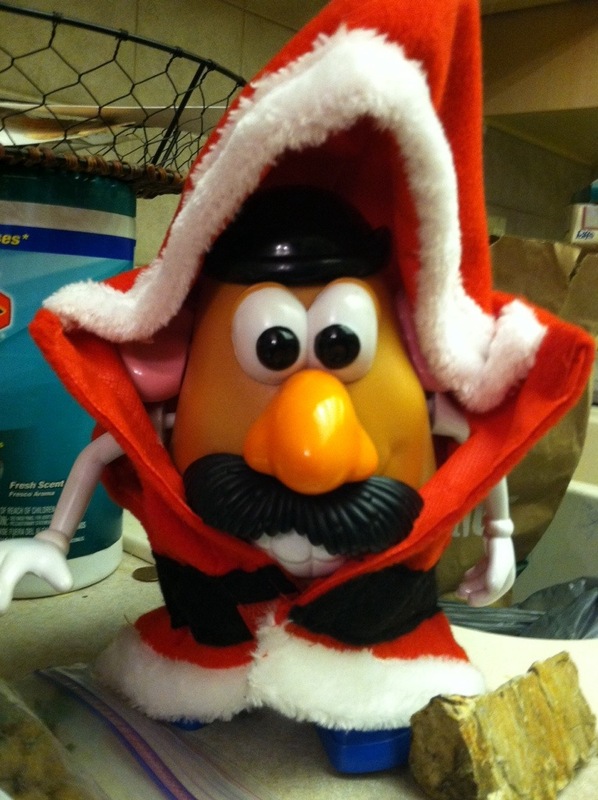 Potato Head, muse, photography, santa, wptogo. Bookmark the permalink.